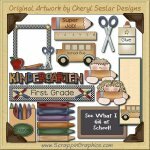 This collection of adorable and charming graphics is perfect for all your teacher or school project needs. 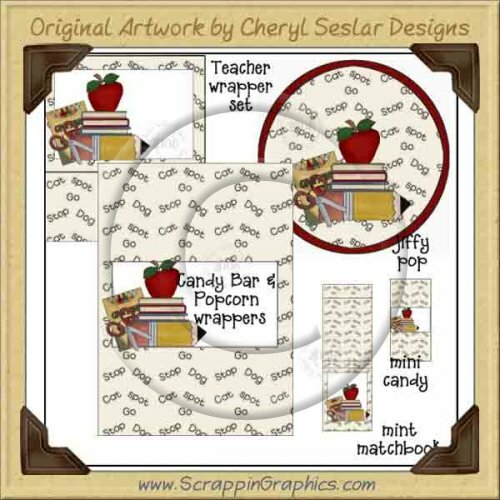 This set includes 5 different printable craft clip art graphics of an apple, books and other school related items: teacher and school bar wrapper, teacher and school Jiffy Pop wrapper, teacher and school matchbook cover, teacher and school mini Hershey wrapper, teacher and school popcorn wrapper. Great collection for making scrapbook pages, cards, labels, tags, invitations, and other printables.